Happy Valentine’s Day! If you follow me on Instagram (which we sure hope you already do – find me here! 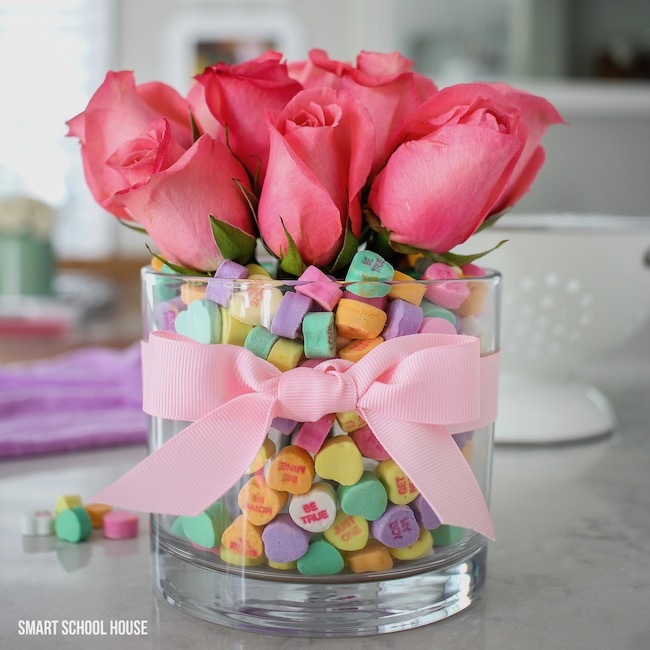 ), then you’ve seen our newest Valentine’s Day project: the Candy Heart Valentine Bouquet! 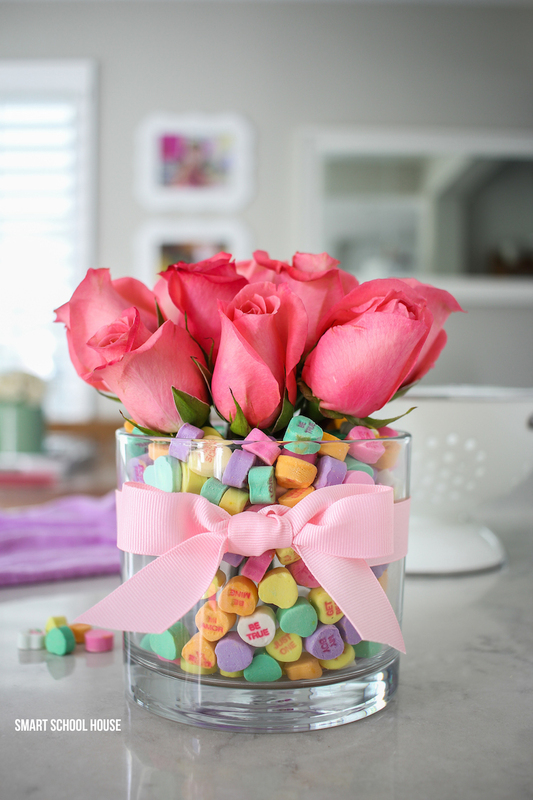 With a quick little trick you can create rose bouquet surrounded by conversation hearts. The roses are actually in water though, which makes this the perfect DIY bouquet on Valentine’s Day. I can’t wait to show you how to make it! 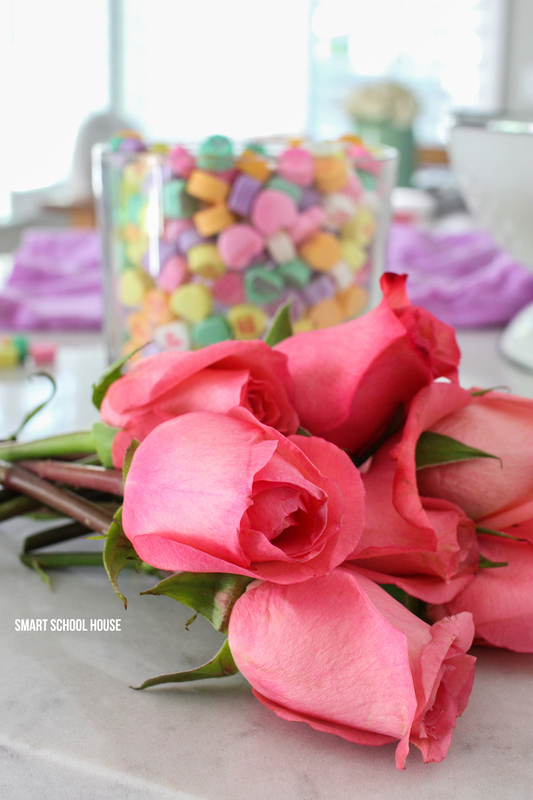 Watch how to make a Candy Heart Valentine Bouquet! I got the two glass vases for just a few dollars at my local craft store. They usually have a lot to choose from there so it was fun to mix and match the sizes until I found two that were just perfect for this project. Be sure to cut your flowers down to size so that they are just above the candy. That way, any evidence of the smaller vase inside will go unseen (we’re so sneaky! ).